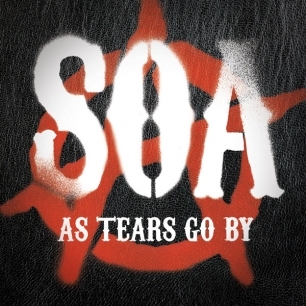 Sons of Anarchy's sixth season roared onto FX earlier this month, and the outlaw biker drama came stocked with another batch of carefully curated songs. For Season Six, music supervisor Bob Thiele tapped Noah Gundersen to sing alongside the Forest Rangers for a hazy, spectral cover of Marianne Faithfull's "As Tears Go By" – which was written by the Rolling Stones' Mick Jagger and Keith Richards and producer Andrew Loog Oldham (and later became a hit for the Stones, too). "Once again, we've taken an iconic song – this time from London, England circa 1966 – and molded it to feel like Charming, California," Thiele tells Rolling Stone, noting the song will close the second episode of Season Six (which premieres tonight). Thiele was "blown away" by the Forest Rangers' "musical and emotional depth," but he had particularly special praise for Gundersen: "I could not imagine a more perfect voice to interpret this song. He is one precious stone!" Click to listen to Noah Gundersen and the Forest Rangers' "As Tears Go By"